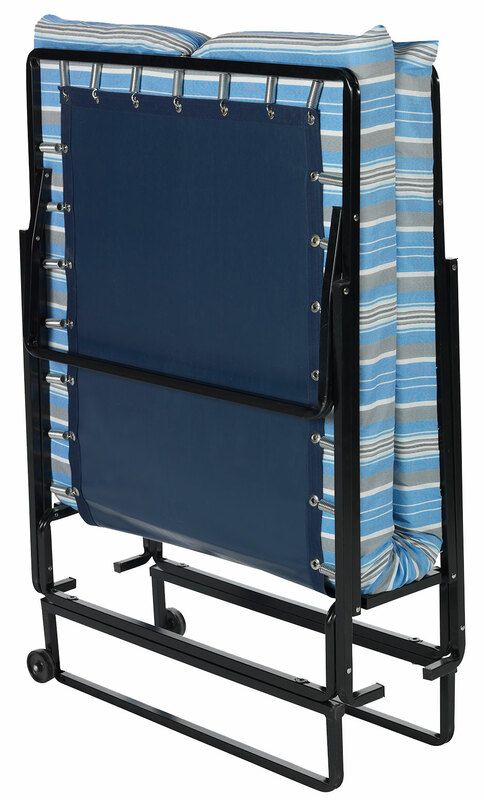 •Roll-a-way bed with wheels for easy movement and automatic opening legs for easy and fast set up. •Open size: 30" x 72" x 16"
•Closed size: 30" X 38.25 x 12"
• Mattress size: 30" x 71" x 3.25"
Please view assembly instructions below. I received my order on time, and in good condition! Thank you for your business! The Blantex heavy duty steel roll-a-way bed was purchased to sleep on when I visit out in California for a week at a time. It worked out well. It was comfortable and nice to know that when I return I will have a bed to sleep on. 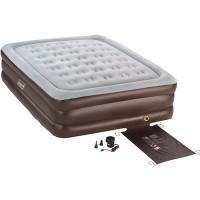 The bed works well,is lightweight, durable, and comfortable. The bed frame is sturdy, the mattress is reasonably thick and comfortable. This is a nice size for a lightweight, portable bed. However, the mattress slides off of the bed (I put a yoga mat under the mattress, which helped), and the frame slides on floor, making bed feel unstable. The bed is too soft. I prefer a harder bed. But, am thinking of using a board to stiffen it. Blantex, Inc. is the exclusive importer and distributor of the Blaco Export full line of heavy duty steel folding cot, beds, stools chairs, bunk beds and many other tubular steel products and mattresses. Why Blantex? With our partnership with Blaco Export in Mexico, we have over 40 years experience in manufacturing and distributing the most durable and economic camping, home and special needs steel tubular furniture. Our proximity to the factory gives us the ability to respond to your needs very quickly. QUALITY: All our furniture is made of heavy duty steel. Our beds are all rated for 1 person up to 375 lbs. Our furniture is made for long lasting quality and comfort. We are not the cheapest game in town but we do offer the best value. Aluminum furniture will never be as strong as steel. EMERGENCY RESPONSE:We are ready and have the experience to help during emergency situations. We were the first to help during disasters such as the 9/11/2001 terrorist attack on New York City, the 2005 record breaking hurricane season including hurricane Katrina and Rita that devastated the Texas, Louisiana and Mississippi Gulf Coast. More recently we supported emergency responders in 2008, by delivering tens of thousands of cots in August and September, for the California wild fires, as well as Hurricane Gustav. When Hurricane Ike devastated our hometown of Houston TX. on Friday night, we were still delivering beds Saturday night in the dark, since the whole town was without electricity.